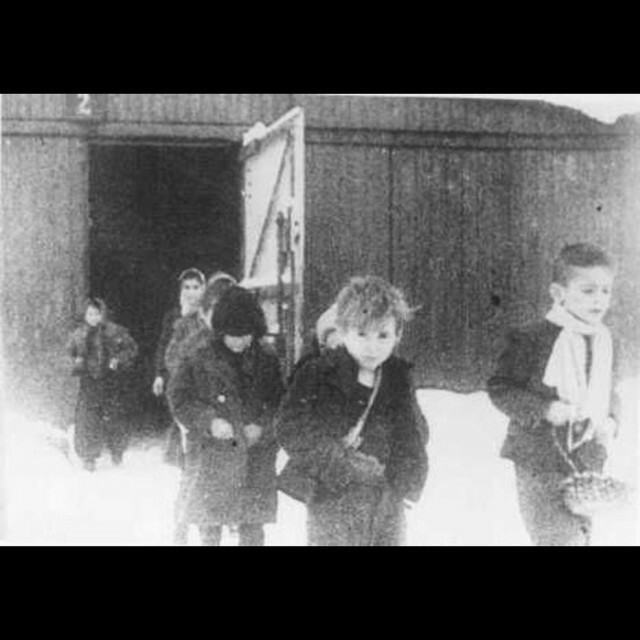 Iconic photo: This image always give me chills..
After liberation, surviving children of the Auschwitz camp walk out of the children’s barracks. Poland, January 27, 1945. ← People seem to only post pictures of a young Audrey Hepburn.